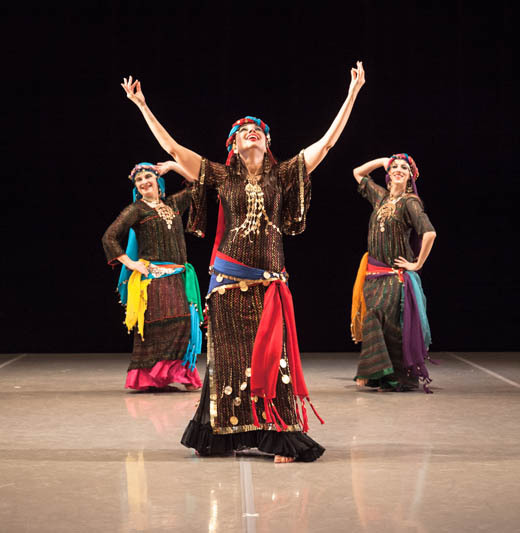 Mosaic Dance Theater Company develops and presents original dance, theater, and educational programs celebrating the rich diversity of cultures and folkloric traditions of the Mediterranean, including the Middle East, North Africa, Turkey, Greece, Italy and Spain. The dances and music, the stories and myths, and the history and legends of this fascinating area form the wellspring of inspiration for MDTC’s creative vision. Founded in 2003, this critically acclaimed company is known for its artistry and authenticity, not only in creating the original works that comprise its repertory, but also in faithfully researching their origins to ensure cultural integrity, and is the recipient of the 2013 Sunshine Award for its contribution to the performing arts. MDTC tours nationally to performing arts venues, schools and universities, and is on the roster of artists for Lincoln Center's Meet the Artist programs, as well as Young Audiences of New Jersey/Eastern Pennsylvania, and Hartford Performs. Morgiana Celeste Varricchio is MDTC’s Producing Artistic Director and Founder, and Samara Adell is the Choreographer and Artistic Director for Dance.